We do not have any other payment processor options other than PayPal. Use the dropdown menu to select your Country of Residence if this is not already correct. If your Country is not listed it is not currently possible to use the Store feature. We are working to add as many countries as possible. 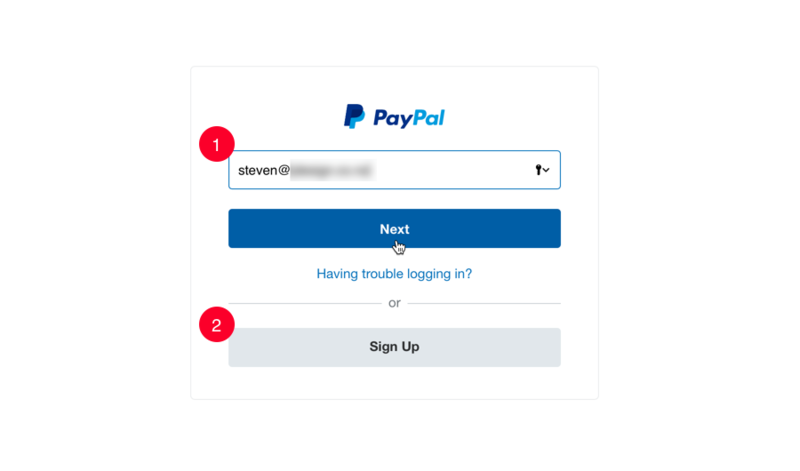 Sign Up for a new PayPal Business Account and follow the steps required. 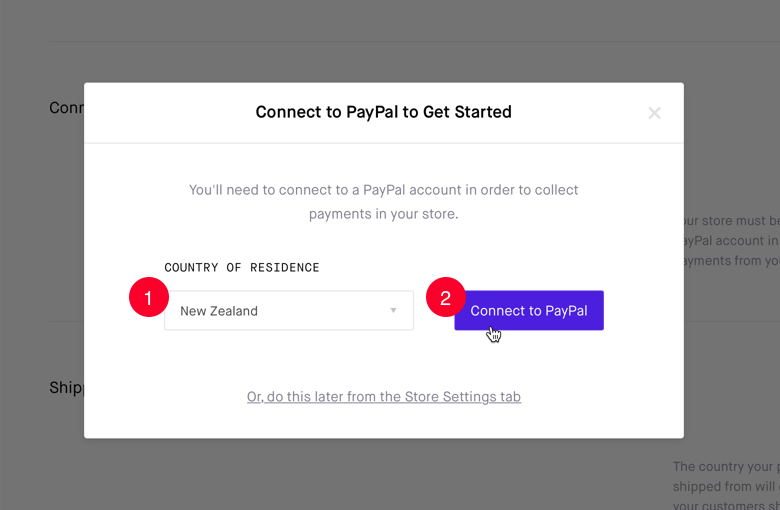 This guide does not show screenshots or the steps required to create a new PayPal Account as this can vary between countries. Please follow any PayPal guides or help articles to set this up. 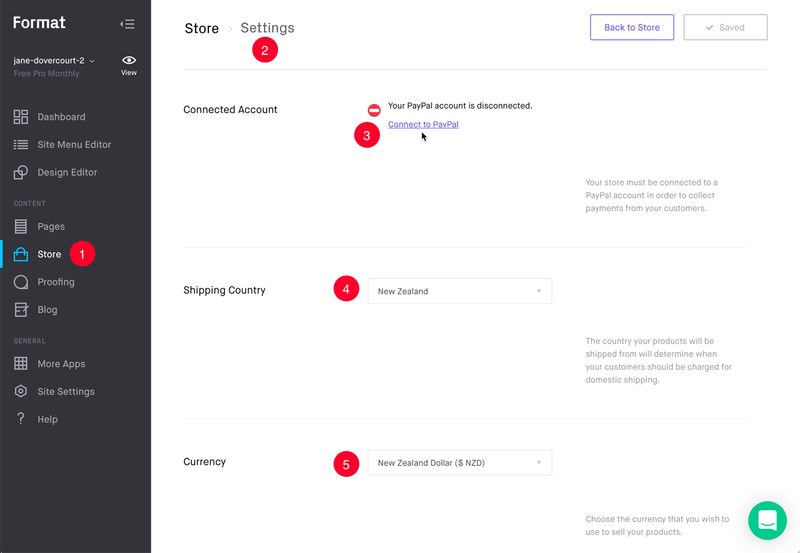 Your Store Settings Connected Account will now show as being successfully connected. 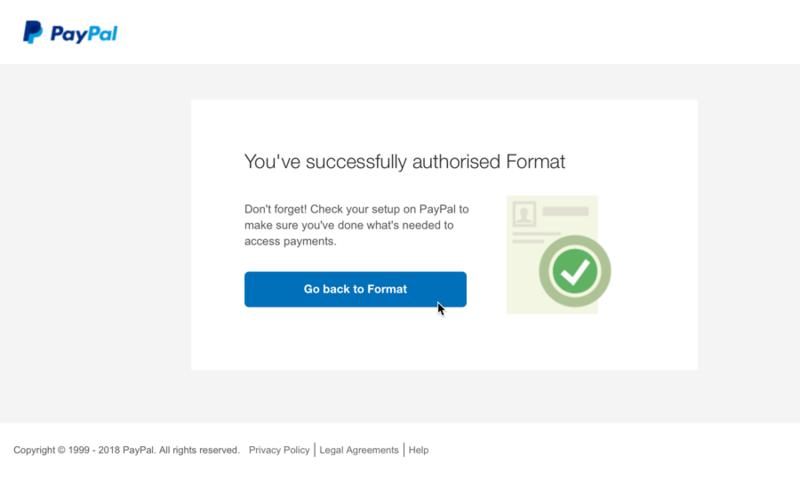 PayPal is now ready to collect payments for purchases made through your Store. You have complete control over the prices, currency, shipping (physical products) and payment is made directly to your PayPal Business Account. No additional fees or commission is paid to Format. You are responsible for the fulfilment and supply and/or shipping of the product and service you have sold. 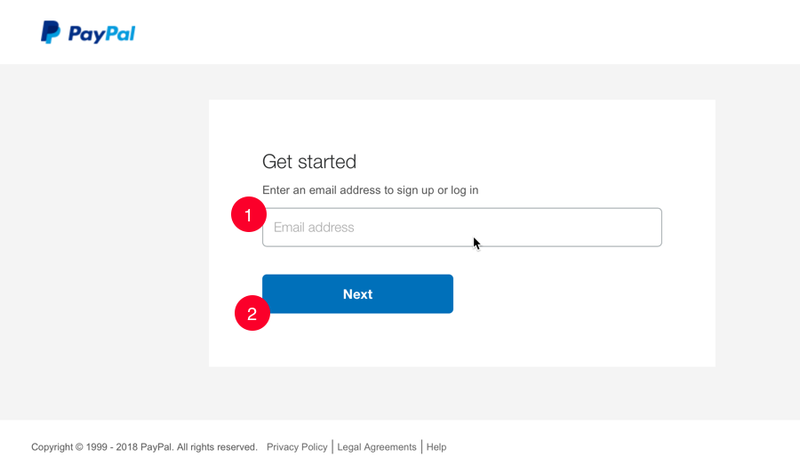 You can create your own Refund Policy or Terms of Service using Custom Pages.